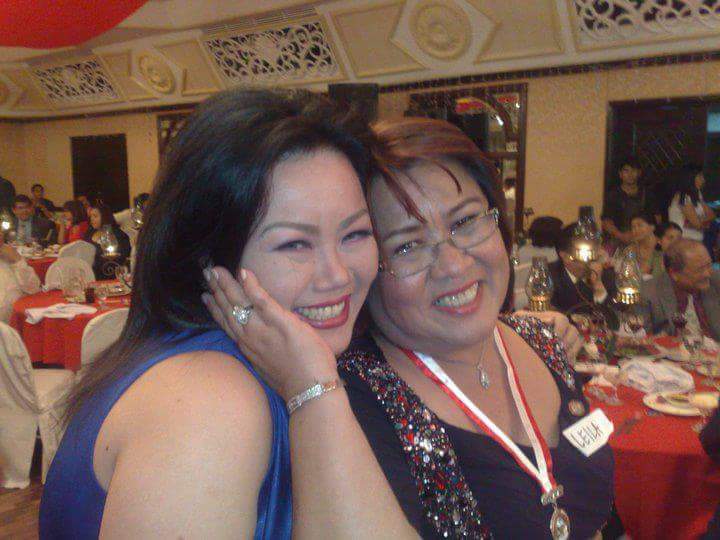 MANILA, Philippines - Filipina veteran singer Dulce or Maria Teresa Llamedo Cruzata in real life has made a shocking revelation about Senator Leila De Lima through a controversial post on Facebook on Sunday, August 21. Dulce has accused De Lima of having links to drug lords inside the National Bilibid Prison and receiving millions of pesos from them. She also divulged that the former human rights chair was used by her former bosses for their own benefit and has come up with different tactics to divert the issue. According to Dulce, her husband was among those terminated by De Lima after he allegedly refused to join them in the illegal drug business. Urging the senator to come clean and admit her wrongdoings, Dulce said De Lima should stop pretending to be brave and being overconfident as no one can protect her but the truth. Dulce added that she is praying that the former Justice Secretary would be jolted out from her slumber. “Tama na tapang-tapangan at pagiging overconfident hindi ka nila kayang protektahan, only the truth can protect you. 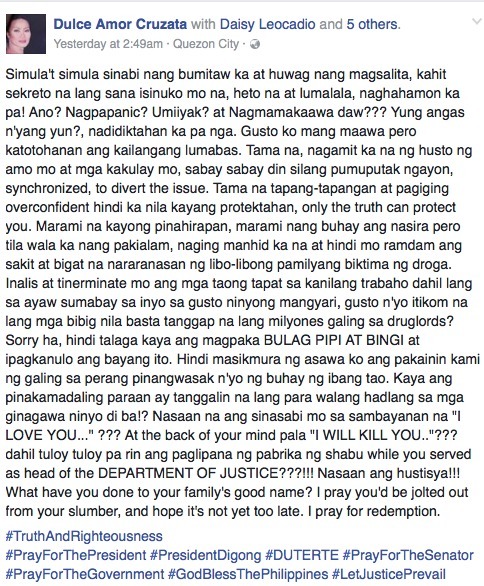 Marami na kayong pinahirapan, marami nang buhay ang nasira pero tila wala ka nang pakialam, naging manhid ka na at hindi mo ramdam ang sakit at bigat na nararanasan ng lino-libong pamilyang biktima ng droga,” Dulce wrote in her post. De Lima, who was accused by President Rodrigo Duterte of receiving drug protection money from drug lords inside Bilibid, is heading the Senate probe on summary killings. Dulce’s viral post has since been deleted.